It’s an early and very quick one cos I’m staring at a jampacked program today. Well, we inch closer and closer to the most crucial encounter of our season so far. A singular game capable of redefining our troubled campaign. We landed in Cairo yesterday evening and ‘security concerns’ mean we play Saturday rather than the earlier announced Sunday. That’s according to CAF’s official Twitter handle. Well, thing is, the whole thing will be over and done with this weekend and that’s heart warming. Just before they took off, some of our players expressed their optimism and willingness to get the result we need from this encounter. Striker Peter Onyekachi spoke to Naijafootballplus. “The camp atmosphere is amazing and we believe we can get the job done in Egypt. We have learnt our lessons and the technical crew have done tremendous work on the team. The management have also created such great atmosphere with topnnotch welfare”. ” Honestly, we are fired up for this game, motivation is high and we believe the mission is possible. They (Zamalek) are not special, we saw them against Sundowns and I am optimistic we will shock them”. “The pitch (at the Adokiye Amiesimaka Stadium) was waterlogged when we played against Zamalek (on June 19),” Aigbogun told supersport.com. “We dominated the game and the goal they scored was from something you cannot even refer to as a goalscoring opportunity. “Our objective is to win on Sunday to get our campaign back on track and I believe we can do it. It has not been an easy season for us but nobody here is giving up. In truth, nothing is impossible and it will not be right writing off the team and the fact that in 90 minutes, they can achieve the task. We as fans back home may not do much more than just have faith and pray that things go our way in Egypt. Evidently you would believe the Spain Contingent will team up with them today. Its the ideal thing to do unless plans and formalities were not concluded in time. I’m thinking there’s a possibility the change of date could. Well, we would find out later tonight when the NPFL All Stars square up against Malaga. Finally for today, the club is working hard to take advantage of this Umbro partnership to set up a full ecommerce platform that means the fans can purchase replica jerseys and all. I know we’ve dreamt and drooled about this in the past but its looking like it would come to fruition in no distant time. According to a source within the club. There will be a full preview here on the blog tomorrow on the Zamalek game. Till then, have a good one. 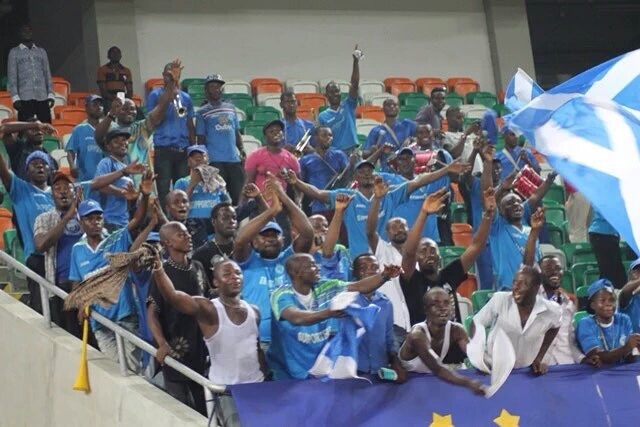 Update: Enyimba rejects shift in kickoff.